In-company training is globally recognised as a best practice to provide students and workers with practical skills. Since the development of the Standard for In-Company Trainers in ASEAN Countries (ASEAN In-CT Standard) in 2015, ASEAN member states have increasingly recognised the important role of in-company trainers in delivering high-quality technical and vocational education and training. In the past 18 months, the ASEAN In-CT Standard has been endorsed by the Senior Officials Meeting on Education (SOM-ED) and the Senior Labour Officials Meeting’s Working Group on Progressive Labour Practices to Enhance the Competitiveness of ASEAN (SLOM-WG). Over the past 5 years, more than 150 master trainers in in-company training have been trained and they in turn have trained more than 1,000 in-company trainers in 8 countries. In 2018, the Philippine Technical Education and Skills Development Authority (TESDA) introduced a training regulation for in-company trainers. Other countries, including Viet Nam, are planning to do the same this year. These are some of the many results shared by the public and private sector representatives from Southeast Asia, who attended the 7thSteering Committee meeting of the ASEAN In-CT Standard from 13-14 February 2019 in Pattaya, Thailand. 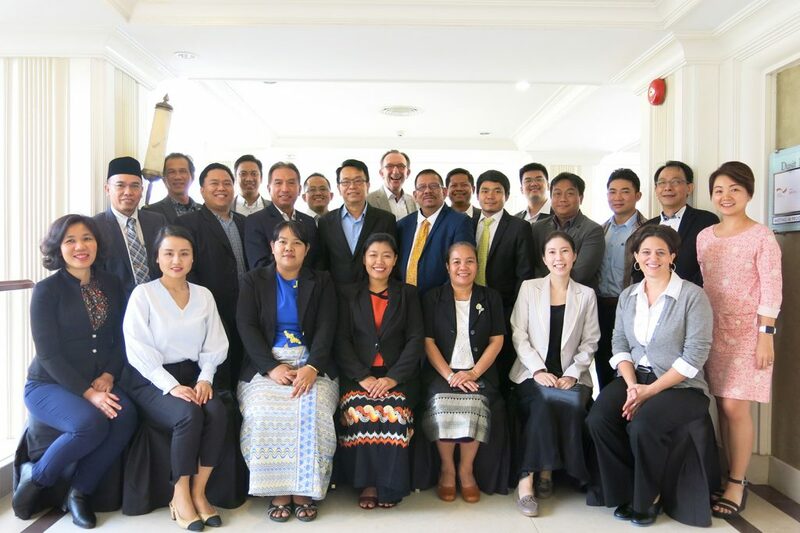 This annual meeting of the Steering Committee was organised by the German government’s RECOTVET programme to review the progress and achievements at the regional and national level in 2018; to discuss ongoing activities to further expand and promote the ASEAN In-CT Standard; and to draft national action plans for 2019. “This Steering Committee meeting has been very productive, as we have revised the responsibilities of the Steering Committee and its members. The exchange of information and case studies has expanded our perspectives. I am particularly happy that we have started discussing options for a master trainer training to be conducted in Cambodia and the training of ‘senior master trainers’ from the ASEAN region. This will not only ensure the sustainability of training, but will also be more cost-effective”, said Mr. Vicheth Choeun, the Vice Chair of the International Affairs Committee from the Young Entrepreneurs Association of Cambodia (YEAC) and a master trainer himself. At least 3 more master trainer training sessions will be organised in 2019. In addition, the Philippine Chamber of Commerce and Industry’s Human Resource Development Foundation is planning to conduct training for ‘senior master trainers’ in May. Other activities planned in 2019 include a survey to identify challenges and success factors in conducting training sessions, the translation and re-publication of the ASEAN In-CT Standard booklet, and several more trainings for in-company trainers across the region.